The CIT Cork School of Music Symphony Orchestra presents a FREE lunchtime performance of Finnish composer Jean Sibelius’ Symphony No.1. First performed in 1899, it is a work filled with memorable melodies and voluptuous sonorities. Conor Palliser conducts and all are welcome. 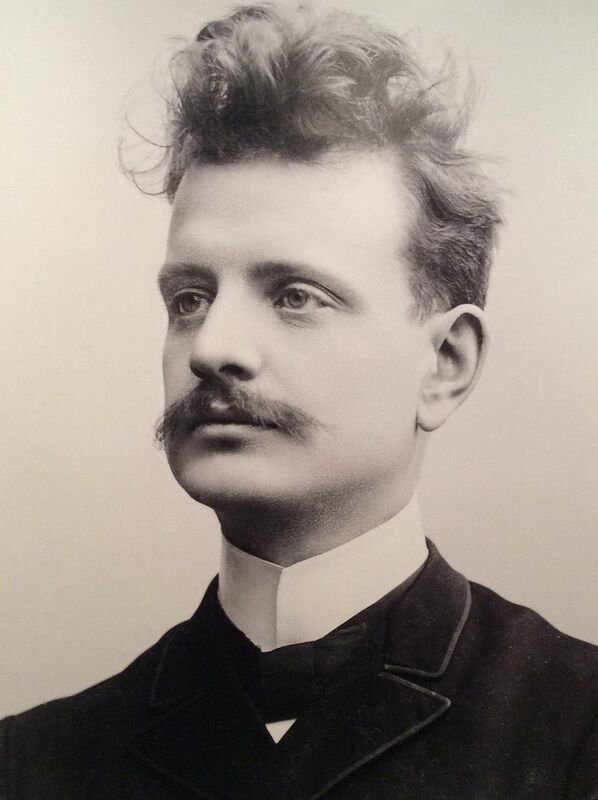 When, at 33, Jean Sibelius finally composed his Symphony No. 1, he already had a portfolio of orchestral music. His harmonic vocabulary, technical apparatus, orchestral style, and thematic character (rooted in the Finnish language) were firmly in place and organized. If, as Beckmessers have carped from the beginning, the first symphony here and there echoes Tchaikovsky, so do contemporaneous works by Glazunov and Rachmaninov; Pyotr Il’yich’s Pathétique Symphony was not yet six years old when Sibelius introduced his new First with the Helsinki Philharmonic on April 27, 1899. Melodic substance and sonorities are voluptuous in the First without bursting the corset-stays of decorum or modesty. As Finnish patriotism hardened into resistance, Sibelius became emblematic both at home and abroad. His music attracted an ever-growing and appreciative following in Great Britain and the United States (but none at all in France, Italy, or Vienna). Politics aside, Russian conductors and concertgoers liked it nearly as much — especially the First and Second symphonies. While No. 2 is technically surer and structurally tighter, No. 1 is the more memorable melodically, and the more volatile emotionally. The whole first movement is unified by a theme heard at the outset, played by a single clarinet over a soft timpani roll, then without accompaniment. In one way or another, the abundance of themes in a tightly argued movement derives from this opening, most ingeniously so in an episode for staccato flutes playing in thirds over strings and harp, extensively developed later on but not reprised before two E minor chords at the end. Both the slow movement and the scherzo are free adaptations of three-part form (ABA). Instead of new material, the B section of the Andante develops the main theme of A and then reprises only that theme. Here more than anywhere else, the Pathétique of Pyotr Il’yich casts an occasional lugubrious shadow on isolated string and bassoon passages. The pounding, headlong scherzo, with an A section in C, D flat, and G major, restores the timpani to prominence. The middle part, however, is slow (Lento) and sostenuto, in E major, until a transition back to the C major song section, where the previous D flat material is reprised in G flat before an accelerating coda. The finale begins in E minor with the same theme that opened the symphony, here played throbbingly by violins, violas, and cellos before its fragmentary development by pairs or groups of winds. This is only the introduction, however, to a sonata-form Finale. Its main-theme group of fast-moving, folk-flavored segments — fragments, almost — sets up a lyrical second theme played by unison violins on the G string. Thereafter, the main-theme group is developed extensively, verging on melodrama, following which the bardic G string theme returns. It, too, is developed to a passionate climax before the ending echoes the first movement: two E minor chords — now soft, however, rather than loud, and pizzicato rather than sostenuto.